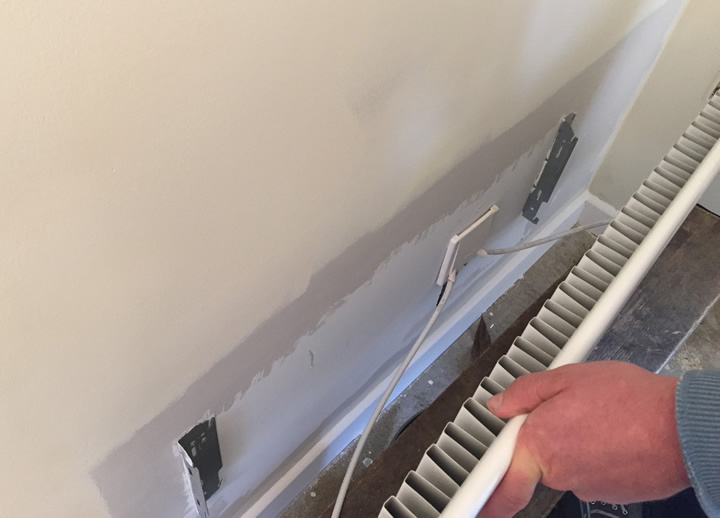 To get a good paint finish behind a radiator it is always best to remove it, especially if you are changing the colour, however this adds more jobs to the list, but with a modern house built in compliance with 2006 air leakage testing with an air barrier this may not be necessary. 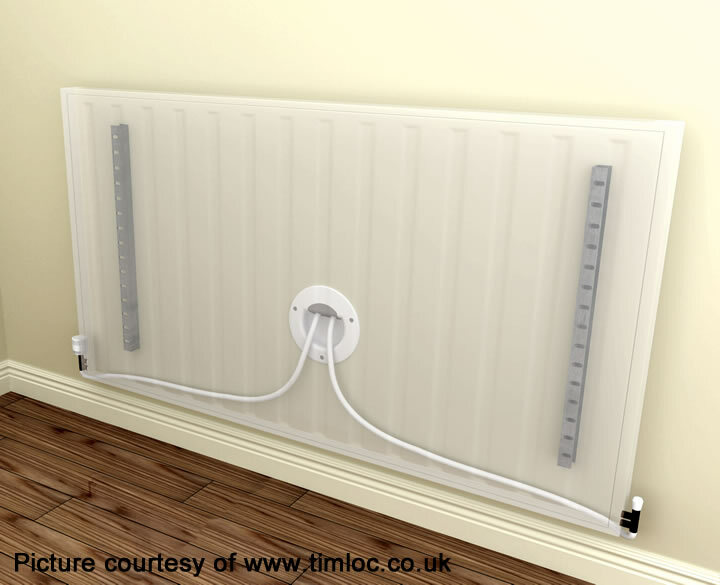 If the radiators are plumbed in using 10mm plastic radiator pipework and connected through a pipework air barrier connection as above, there is probably enough slack in the pipes to lift the radiator up and away from the wall brackets. 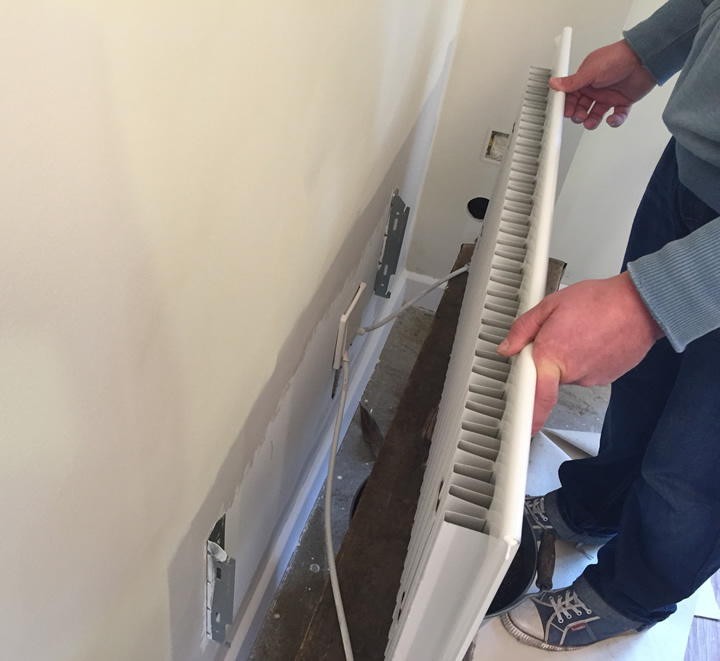 We have supported the radiator with a small scaffolding board and a metal bucket, don’t let it hang on or pull excessively on the pipes, have something ready to support it before lifting off the brackets, you will still need a second pair of hands to support it while you are painting. As you can see this gives plenty of room to use a roller to get a good finish without the hassle of draining and removing the radiator. Note we haven’t painted it yet only as close as we could get with the radiator fitted you can see the original white and the brush painted grey, all will be magnolia when finished.